If you’ve worked on many arcade games, you might have come across a problem where your picture does not fill up the entirety of your screen even after you’ve tried multiple potentiometer adjustments. It could be that this problem is related to a part on your monitor chassis called the horizontal width coil. In this post, we will discuss how to adjust the horizontal width coil so that the picture fills your screen on your arcade monitor. Before you begin, we highly recommend purchasing a plastic or non-conductive alignment tool kit. These kits come with plastic tools that are specifically used to adjust these kinds of parts. You can use an Allen wrench to adjust the horizontal width coil, however, there are many down sides to doing this. For one, an Allen wrench generates a lot of torque that could cause your coil to crack or break. Also, you must have the game off while you are using the Allen wrench to adjust the coil. If the game is on when doing this the Allen wrench will heat up and can burn your hands not to mention that you will be navigating around some very high voltage areas with a piece of metal in your hand. Take our recommendation and purchase a plastic or non-conductive alignment tool kit. Buy the Non-Conductive Alignment Tool Set, 5 Pc. from Amazon.com now! Buy the Universal Color TV Alignment Tool Kit from SUZO-HAPP now! Please make sure to be careful around your chassis if you are attempting to adjust the coil while the game is on. Should you make contact with any high voltage areas on your chassis you could receive a bad shock. Be very cautious at all times when attempting this process. Also, it’s a good idea to set up a mirror in a position where you can the results that are caused from your adjustment. Now that you have the correct tools and setup, it is time to adjust the horizontal width coil. Take your alignment tool and carefully place it into the coil and attempt to turn it. You may need to turn it clockwise and counter-clockwise a couple of times to loosen it up. Try not to force it too hard as too much torque even with the alignment tool can break your coil. If you cannot get it to turn or do not see a change in your monitor you might try leaving the monitor on for about an hour and retrying this process. This should cause the coil to heat up making it more easy to adjust. If you have tried the techniques we’ve mentioned and you still do not see the changes you want, you could have more of a capacitor problem than a horizontal width coil problem. Look around your coil and see if you can find any polypropylene capacitors. 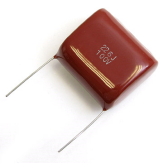 These capacitors typically look like rather large pieces of Chiclets chewing gum and also control the picture width. Try replacing these capacitors to see if it changes your picture. You could also try checking your B+ voltage adjustment on your chassis. If the value of it is incorrect (it should be 120 VDC on most monitors) then this could also cause some picture size issues. Buy a Monitor Width Cap Kit from Bob Roberts now! If you deal with enough arcade games you will eventually come across this problem where the picture does not fill up the entirety of your screen. Knowing how to adjust the horizontal width coil as well as the other measures we described should help you greatly in solving these issues in the future. As always, please leave any questions or suggestions in the comments section below. I have a question on my Golden Tee machine. I recently upgraded my Golden Tee 2K machine to a 2005 Fore machine. It plays great, but the video image within the 25″ screen is in the center of the screen (acting like a 20″ monitor vs a 25″ monitor). I’ve tried expanding the image to fill the screen, but it doesn’t work, just tears apart the image. The 2005 Fore board is set for a standard resolution monitor (not medium), so I don’t think the resolution setting is the issue. I’ve tried most of the adjustments you’ve mentioned here, but still can’t get it to work. Is there a horizontal / vertical setting within the Golden Tee boardset? I couldn’t find one. Odd thing is the screen looks like it’s active all the way to the corners, but the video image is only displaying in the middle of the screen. Any ideas would be greatly appreciated. Thanks. We’re you having this monitor problem with your Golden Tee 2K board as well? If not, then we can assume that it is a board issue. There are several monitor settings that you can change from the dip switches for this particular board. This might just be and issue of finding which configuration works for you. Here’s a link to the manual for Golden Tee Fore: http://it-offsite.whsites.net/itsgames/manuals/Golden_Tee_Fore_1004.pdf. In the lower right hand corner of page 10 of the manual you will see some dip switches that control the monitor resolution. You could try tweaking these to see if they solve you issue. If the issue continues, you can also try calling the tech support line for IT (Incredible Technologies). It is available on their web site at this link: http://www.itsgames.com/itsgames/Support/Manuals/. We have also featured your question on episode 21 of our Q&A podcast. Please listen to it for more of our thoughts on your question. Thank you for your question and keep us updated on your progress. I just recently bought a 4 player Konami Cabinet (Originally TMNT, but converted to Sunset Riders). It sports a 25″ Zenith raster monitor. I’ve been tinkering with the Convergence rings to line up the colors; adjusting the Red/Blue/Green controls, focus, brightness, and contrast. I think I pretty much have it suited the way I like it but I still have an issue in the upper part of the screen. It blurs and bends the picture near the top. Plus adjusting the convergence rings has no real effect on any of far left and right of the screen. What should i do to fix this? I don’t have a degaussing coil if that could solve any interment issues. From what you described, it doesn’t sound like a degaussing coil is going to help you much. The blurring and bending near the top sounds more like a bad cap than a convergence ring or degaussing issue. We would recommend doing a cap kit on the monitor chassis to see if this fixes the issue. Check out our post on Installing A Cap Kit for more information. If the cap kit doesn’t help, this issue could also be caused by a bad tube. If you do suspect the tube, you could always try a tube rejuvenator to see if it improves the issue. We have also featured your question on episode 24 of our Q&A podcast. Please listen to it for more of our thoughts on your question. Thank you for your question and good luck with your future repairs. Having found out by trial and error how to adjust the focus on the EHT transformer I still couldn’t work out how to alter Horizontal screen size (effectively my vertical as the machine is a vertical screen format). Without your videos and advice we would be out of luck with the arcade games we have purchased. Thank you so much. This one worked perfectly!!!! !